Brazen Moss (Mossman ex Hussyanna) broke through to claim his first win under new trainers Peter and Paul Snowden at Kembla Grange on Saturday in the Sea Cliff Bridge Handicap. Customary to his favoured style of racing, Brazen Moss settled toward rear of the field after jumping from the gates, and then once balanced in the straight he found himself with plenty of room to make his run. Displaying a great turn of foot when prompted by jockey Mitchell Bell he was very strong to the line to finish half a length better than his rivals and add to his prizemoney earnings which now exceed $100,000. Stepping up to 1500m Brazen Moss found his feet over the extended trip and the team believes it is over this distance to a mile that we will see the best from the son of Mossman. Adding further merit to his win was the state of the Heavy 8 track at Kembla Grange on the day, and the professionalism with which Brazen Moss tackled it. 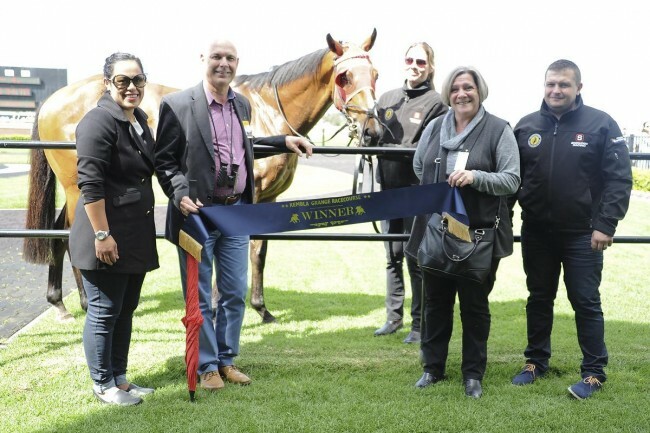 Congratulations to all connections we look forward to his winning form continuing in the coming weeks!